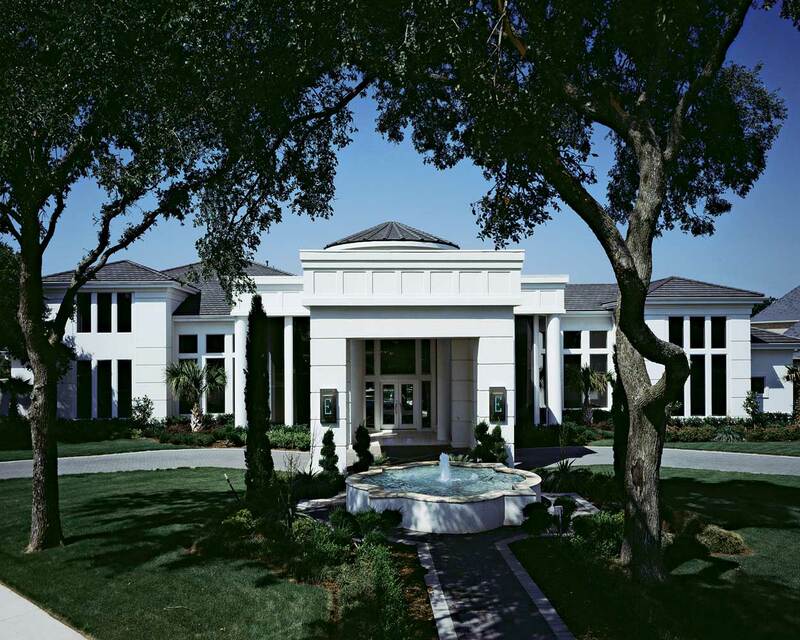 This contemporary residence makes a statement with its grand proportions—no ceiling is less than 14 feet tall. 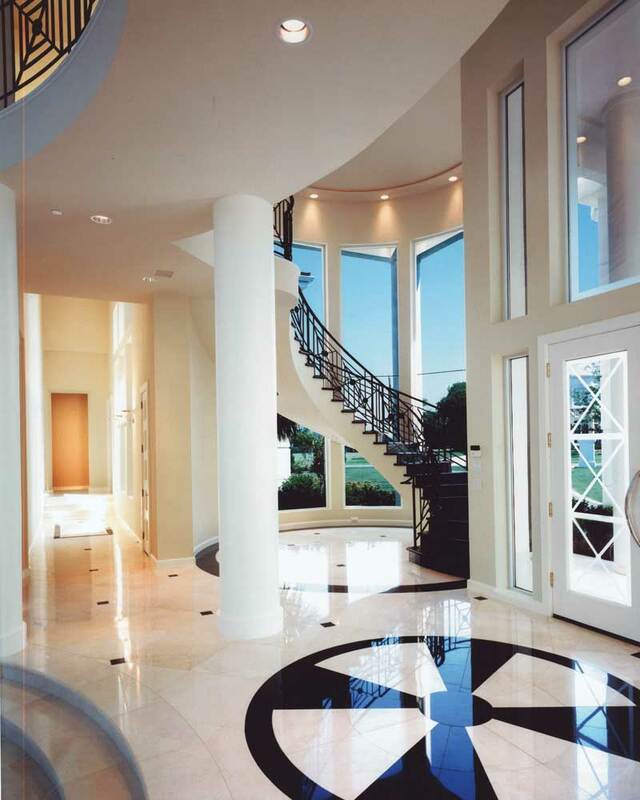 Sleek polished marble floors and a suspended granite staircase welcome guests with style. The circular dining room is filled with light by glorious 20-foot windows—a feat that required extensive engineering. The kitchen features clean lines of lacquered maple cabinetry, while an adjacent walk-in wine cooler offers a glimpse of fine vintages through a glass wall. The expansive upstairs game room is an ideal venue for large-scale entertaining, complete with a billiards table, bar, and large-screen television. An extensive gym with dry sauna provides a professional setting for home fitness. A dramatic infinity pool with swim-in gazebo sitting area makes the most of a sloping backyard.